John Walters is a very good Dartmoor and Devon naturalist as well as being a great artist. He is also a friend of mine. 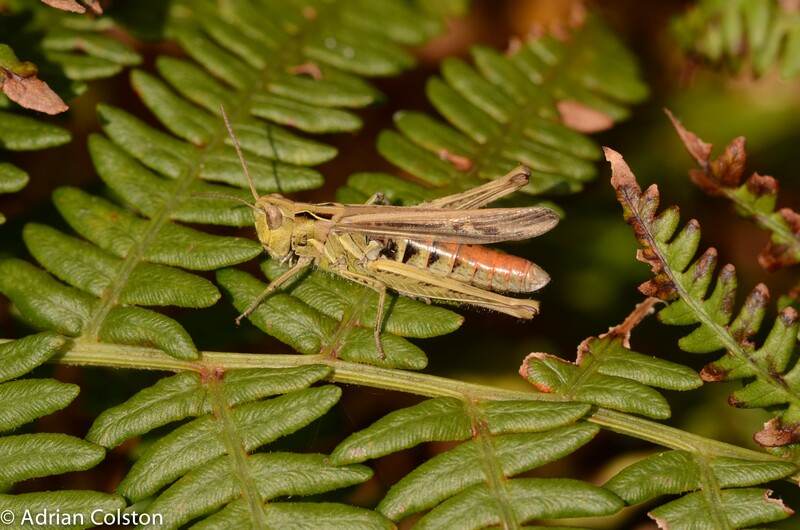 He was recently on the One Shop talking about the mating behaviour of the rufous grasshopper. Here is the clip from the programme. 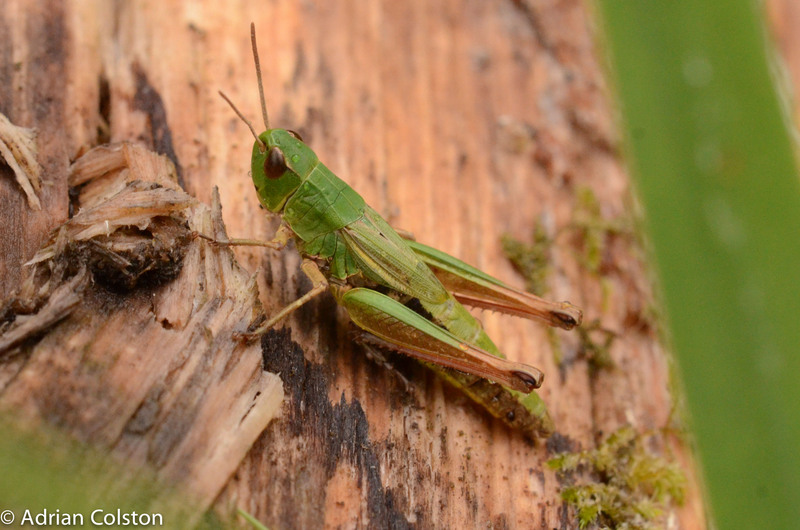 Amazing how confiding the grasshoppers were! Here is the national distribution of the species (via the National Biodiversity Network) – quite a rare animal! 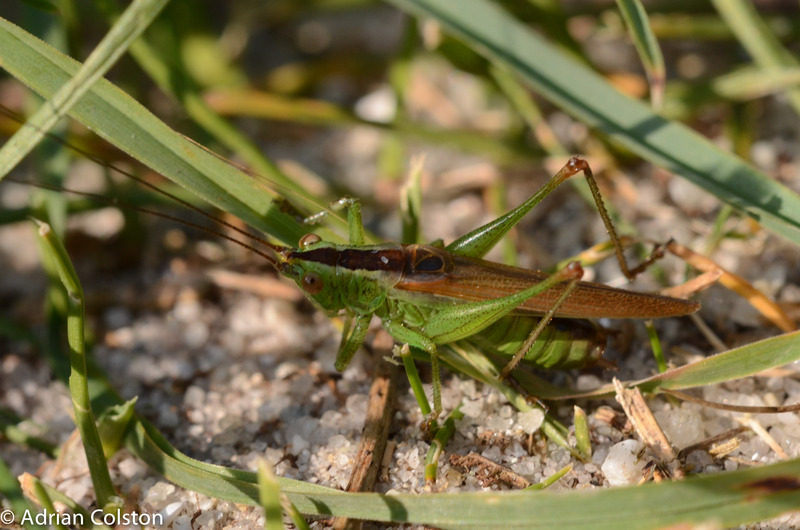 The number of species of grasshopper and crickets on Scilly is rather low compared to Devon but there are plenty of individuals. 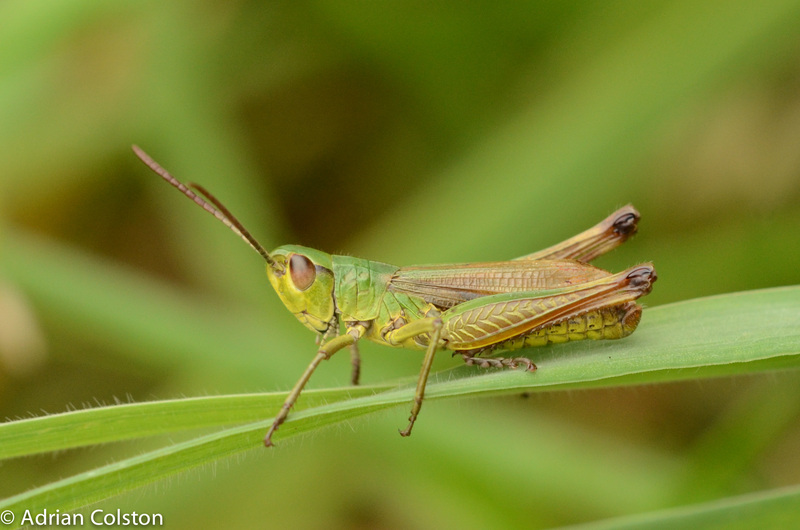 I recorded these very vocal meadow grasshoppers communicating with each other yesterday. 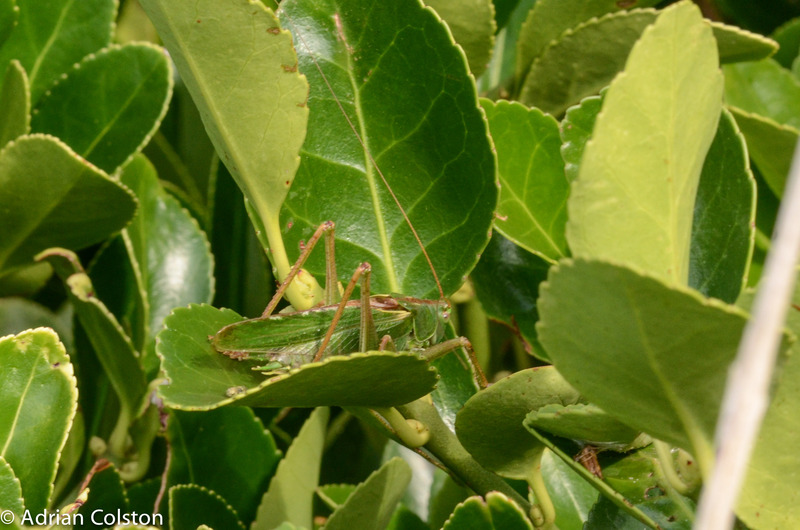 The noise is called stridulating and is caused by the males rubbing their legs against their wings. Note the short wings and black knees in this female.